​These casual yet feminine socks feature an unusual lace pattern starting below the cuff and transitioning diagonally into ribbing around the ankle. The ribbing continues over the instep to give added comfort. These socks are worked from the cuff down. 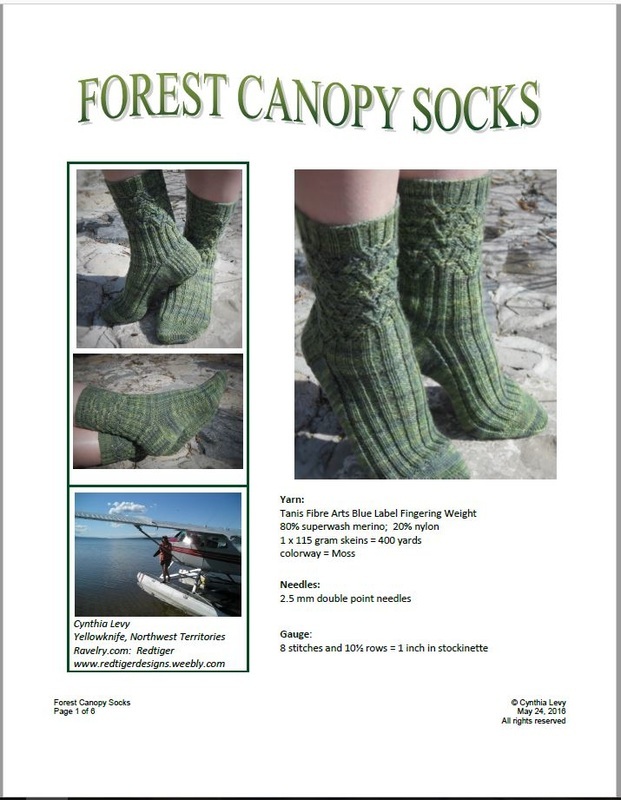 The pattern provides options for varying leg and foot lengths.